Home > Hinduism > Hindu Gods > Shri Krishna > Why is incarnation of Shri Krishna considered as absolute ? 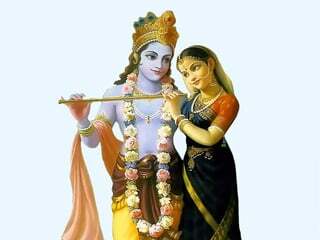 Krushna (कृष्‍ण): ‘(आ)कर्षणम् करोति इति’ means the one who attracts. 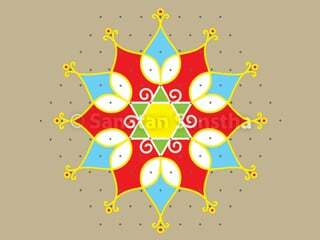 Krushna was born on the eighth day (ashtami) of the Hindu lunar month of Shravan. The number eight is a reducing number (kshayank). 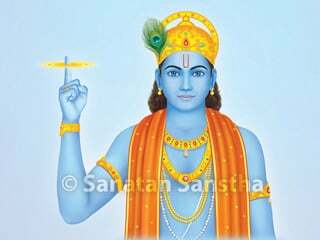 Rama was born on the ninth day (navami) of the Hindu lunar month of Chaitra. Nine is a complete number (purnank). According to numerology number eight is responsible for generating revolutionary thoughts. It would not be wrong to say that Krushna’s entire life was an era of revolution. Krushna was an absolute incarnation (purnavtar). Actually an absolute incarnation is not an incarnation but The Lord Himself; hence it possesses all the characteristics of The Lord. Some special features and missions of Lord Krushna are enumerated below. Sage Garga at the request of Vasudev, secretly performed the naming ceremony of both the children, Rohini’s son as Rama and Devaki’s as Krushna. Later Rama came to be known as Balaram because of the tremendous strength that He possessed. Krushna went to Mathura to slay Kansa at the age of seven years. It was then that His childhood ended. means the place where cattle graze and roam is Vraj. Since Infant Krushna’s divine play took place here, this place is said to be sacred. After the slaying of Kansa and the thread ceremony, Balaram and Krushna went to the ashram of Guru Sandipani in the city of Avanti. There within a span of sixty-four days He learnt the fourteen types of sciences (vidyas) and the sixty-four arts (kalas). Generally to learn one science one requires two to two and a half years. He was close even to people who were much older than Him. At the age of just seven Krushna did not allow the milkmaids to go to Mathura because He did not want the money that was procured by selling milk to evil Kansa. Since then, the elders began to heed His advice and He proved true to their faith. Once the cowherds (gopas) told Yashoda, “Krushna has swallowed mud.” So, she asked Krushna to open His mouth. When He opened it, she got the vision of the entire universe in it. This example illustrates how an incarnation carries out its mission even in childhood. On a moonlit night in autumn (sharad) He performed the rasa dance (rasakrida) with the gopis (wives of the cowherds) in Gokul. At that time they experienced Bliss (Brahmanand). Krushna’s beauty was unparalleled. All would get enticed by it. To capture Krushna, Jarasandha’s armies surrounded Mathura eighteen times. Nowhere in the world have so many attempts been made to capture an individual. Kansa ferried 280 elephants on wooden rafts across the Yamuna river. He surrounded Mathura for three months, but Krushna could not be captured because He would change His home everyday. Apart from this the thousand children living in Mathura also wore peacock feathers in their hair to resemble Krushna. Kansa’s soldiers assaulted them, yet they did not reveal ‘who the real Krushna was’. The ideal son : Krushna behaved in a way which pleased both His parents Vasudev and Devaki and His guardians Nanda and Yashoda. 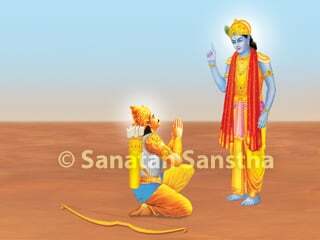 The ideal brother : Krushna would respect His elder brother, Balaram. The ideal father : Because His sons behaved unrighteously, He Himself slew them during the battle of the Yadus. The ideal friend : Krushna affectionately welcomed His poverty-stricken childhood friend Sudama even when He became the ruler of Dvarka. Due to His friendship with the Pandavs, He constantly rushed to their aid. The Pandavs worshipped Krushna as a friend (sakhyabhakti). Krushna loved the arts of dance, music, etc. and was an expert in them. His playing of the flute and His performance of the rasa dance (rasakrida) are famous. Even the animals and birds would get enticed when He played the flute. Krushna either fought Himself or assisted others in fighting the injustice caused by Kansa, Jarasandha, the Kouravs, etc. Realising that the 16,000 princesses released from Narkasur’s prison would not have any social standing which would result in several problems, Krushna married them. Some people criticise Krushna’s behaviour. However all that He did was for others’ welfare. At times, He even broke norms, for instance, when slaying Jarasandha, during the abduction of Subhadra so that she could marry Arjun, marrying the 16,000 women, etc. During the Bharatiya war He had pledged that ‘He would not wield a weapon’. Yet to fulfill Bhishmacharya’s vow that ‘I will make Krushna wield a weapon’, Krushna broke His vow and attacked Bhishmacharya with a weapon (a wheel). With His eloquent speeches, Krushna was able to win over several people to the camp of the Pandavs. Krushna presented the case of the Pandavs in the royal court of the Kouravs in an excellent manner. At the opportune moment Krushna told Karna the secret of his birth and thus upset his mental composure. A master in archery : Akin to Arjun, Krushna won over His queen Lakshmana by striking the eye of a fish with His arrow. A master in wielding the mace : Krushna slew Vakradanta in a fight using maces. A master wrestler : Krushna slew Chanur in a fist fight (mushtiyuddha). Krushna slew several evil monarchs and demons possessing illusory powers. Though Jarasandha and Kalyavan, two powerful kings attacked at the same time, Krushna bravely protected the Yadavs. In the Bharatiya war Krushna skillfully steered Arjun’s chariot. Krushna slew Kansa and several other kings, established the golden city of Dvarka, yet did not ascend the throne. Despite this undoubtedly He was the uncrowned emperor of His times. During the rajasuya sacrificial fire (yadnya) of the Pandavs, Krushna washed the feet of the Brahmans and even cleared up leftovers of food in others’ plates. Krushna eliminated Arjun’s doubts by narrating the Gita to him verbally and imparting him with spiritual experiences which are beyond words. 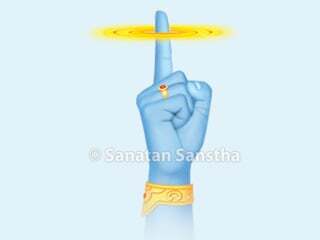 During the Bharatiya war Krushna had adopted the dnyanmudra (mudra of knowledge). 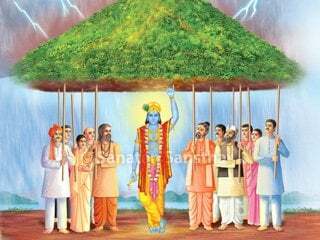 Krushna had eighteen supernatural powers in all, eight being the eight great supernatural powers (ashtamahasiddhis) – His eight wives and the rest His own (God’s) ten supernatural powers. 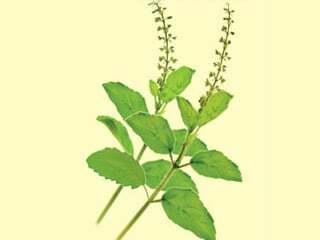 It was with one of these supernatural powers that Krushna assuming a form of the provider of clothes saved Droupadi’s honour by providing clothing to her when she was being stripped in the court of the Kouravs. The centre of minute observation is the focus of suprasensory energy. When it gets activated the house of Vaishvanar and the horoscope in it assume the form of a peacock feather. The peacock feather adorned by Lord Krushna signified that this centre in Him was perpetually active. For more information on this refer ‘Science of Spirituality : Vol. 18 – Path of Activation of Spiritual Energy (Kundaliniyoga) and Path of Transfer of Energy (Shaktipatyoga)’. When the king of bears Jambuvant, requested Krushna to marry his daughter Jambavati, despite opposition from others, He married her. It is difficult for one to even conceive of such an idea. The following examples will illustrate the effects of all His special features on others. 1. In the Bharatiya war, no one ventured to attack Krushna. The other charioteers were attacked. 2. After the war, there was a conversation between a vulture and a fox about the deceased. In it, they have discussed the faults of all men, including those of Yudhishthir; but not a single one of Krushna. One of the six schools of Bharatiya philosophy. Self-realisation by transmission of spiritual energy from the Guru. 1. A posture used for directing the flow of spiritual energy into the Sushumnānāḍī.